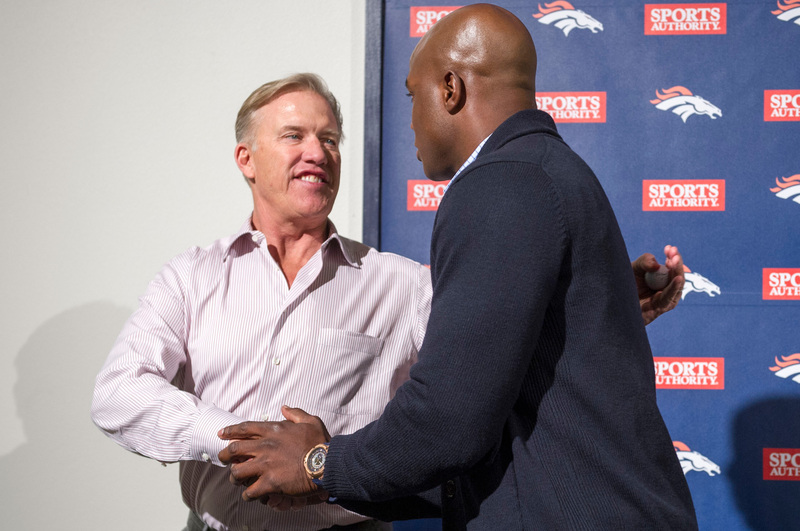 GM John Elway shakes the hand of pass rusher DeMarcus Ware after introducing him on March 12, 2014. Ware signed a three-year contract. The Broncos make another splash in free agency, signing Aqib Talib, T.J. Ward and DeMarcus Ware. All three are selected to the Pro Bowl in their first season with the Broncos, and become linchipins of the 2015 defense that is one of the best in NFL history and powers the team to its third world title.